"The Lord is my shepherd; I shall not want.He maketh me to lie down in green pastures: he leadeth me beside the still waters. . ." (Psalm 23:1–2 KJV). 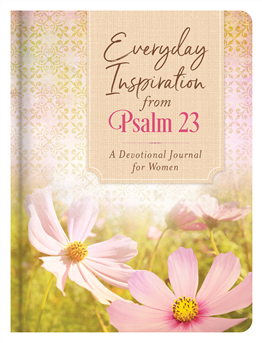 This beautiful journal for women features encouraging devotions inspired by Psalm 23 that will speak your heart. Add to that page after page of lovely prayers, memorable quotations, and Bible promises, you will find the comfort your heart truly desires. Perfect for a personal pick-me-up or a gift for a friend!